Love God. Connect People. Change the World. The church isn't a building. It's a body of believers who serve Christ, each other, and our community. Together. Find out how Coram Deo Church is changing the world. "But as you excel in everything... see that you excel in this act of grace also." Your tithes and offerings are safe and secure. Thank you for helping Coram Deo in our mission to love God, connect people, and change the world. Get the Coram Deo App! Stay on top of the latest news, listen to sermons, check out the calendar, read blogs, and so much more. 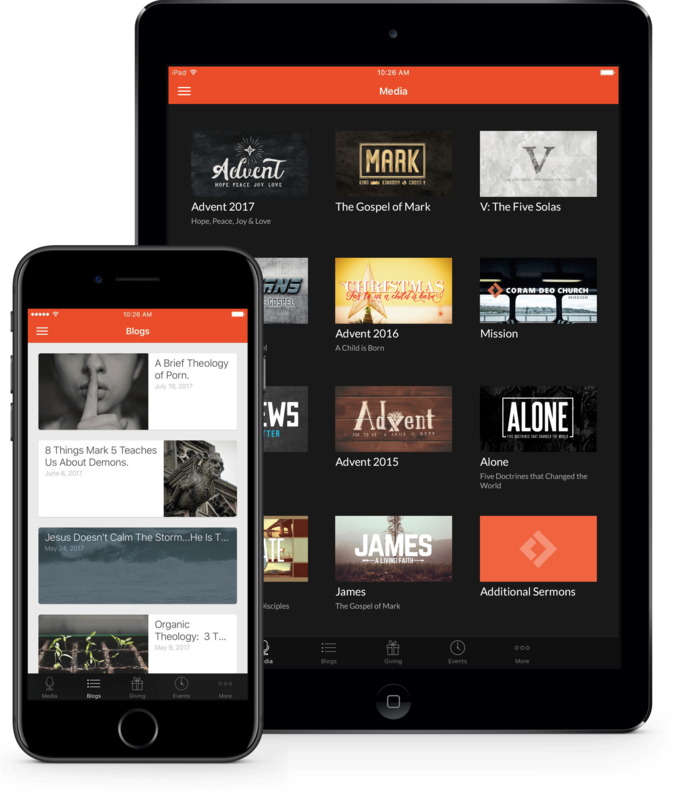 Available on iOS and Android, connect with Coram Deo any time or place from your phone or tablet with the app.